If I understand the translation; I am sorry to hear that your family heirloom was lost / stolen. It is a fine example of what looks like an Accuquartz 'F', very interesting band as well. This model was the 18kt gold version; do you know if your's was also 18kt gold? The band on your watch shows the tuning fork pattern, but others in the database show a horseshoe type pattern. 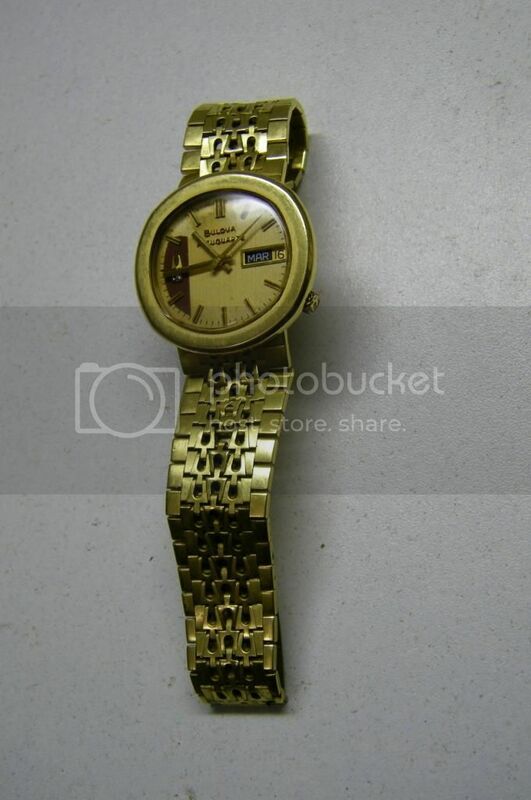 Is this a photograph of the stolen watch? I agree that this photo shows the Accuquartz F.
Accuquartz "F". Nice band w/ that tuning fork pattern. Sorry to hear it was stolen. Hello, is the translation is accurate. The clock it was stolen. Was gold 18kt, gave it to me my Grandfather who bought in 1973 or so. I would like to find a model equal, it would be possible? 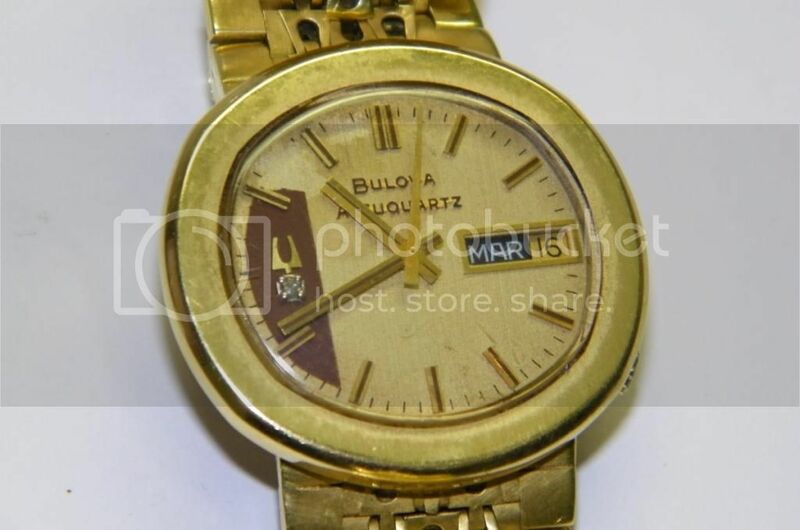 Yes turbolento, it might be possible to find an equal watch. Search eBay and other online auctions is your bet chance. Hi, try sending a private message to the member of this one for sale. I see you have posted on the watch thread, vut a PM might alert them via email from the site. Thank you, you send a PM I hope I answered.